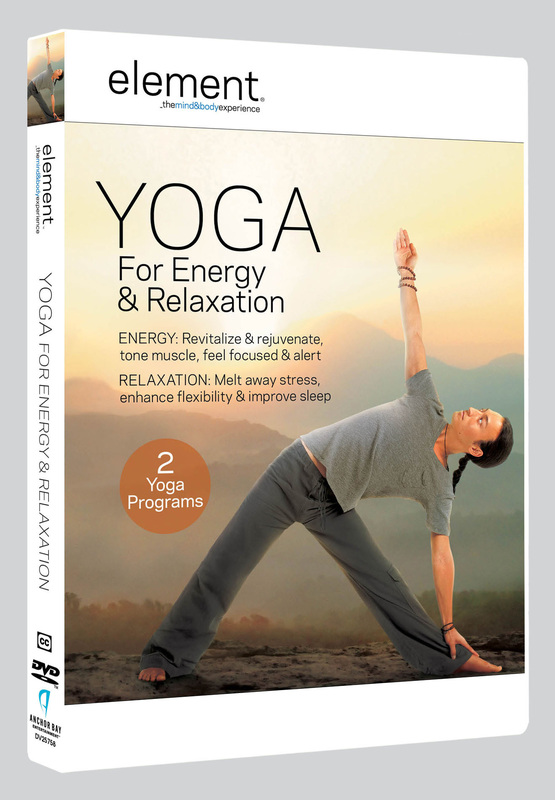 Element Yoga DVDs: Review and Giveaway! Thank you for your kind, supportive words about my honesty at the end of yesterday’s post. Each time I open up on this blog about the “other side” of my feelings about food and drinks, I am rewarded by your comments and tweets…and just any form of encouragement I receive. It helps more than anyone knows! My at-home yoga “studio” – complete with TJ Maxx mat! It turns out Element has many yoga DVDs to choose from! 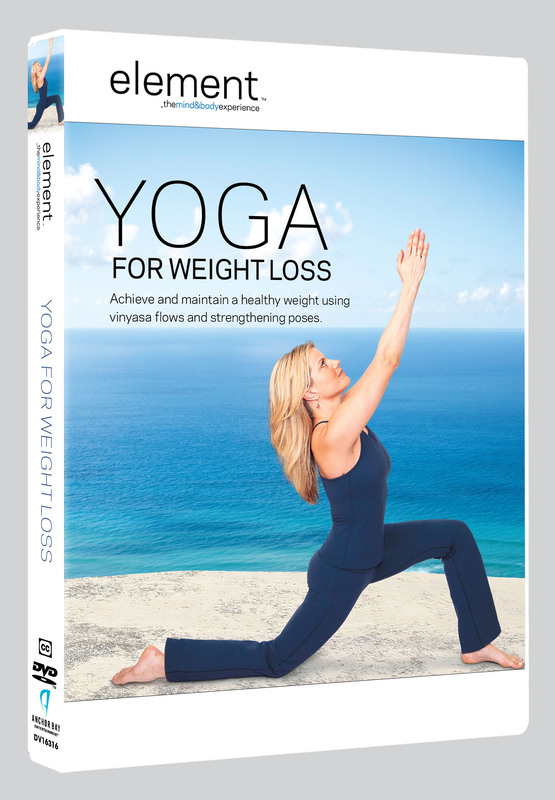 I was sent the Yoga for Weight Loss and Power Yoga DVDs to review. I want to note that though I am reviewing the Yoga for Weight Loss DVD, I am NOT reviewing it from the perspective of someone trying to lose weight. If anything, I am working on being OK with gaining back some healthy weight, and I look at yoga as an aid in that journey because it helps me find peace in doing a less-intense form of workout. The Element Yoga for Weight Loss DVD with Ashley Turner actually turned out to be extremely fitting to that purpose because it really was a nice balance of power yoga and the more relaxed, stretch-focused types of yoga. According to Ashley herself, the practice is meant to combine vinsaya yoga with poses that can foster “self-acceptance, focus, forgiveness, and gratitude – reducing stress and creating happiness from the inside out…so you will want to treat [your body] respectfully and maintain a lifestyle that is good for your health”. I appreciate the recognition that weight loss is a journey consisting of so much more than simply burning calories. I definitely felt accomplished and at peace after completing this DVD. The low music, serene Pacific-Ocean-view setting, and calm manner with which Ashley delivered her instructions effectively combined to create what I felt was a judgment-free zone that a beginning yogi would find helpful while attempting new poses. I don’t think someone completely new to yoga would have an easy time understanding the poses (so they can be attempted) during an initial viewing, but after a couple of runs through the DVD, the routine wouldn’t be to hard to get a grasp on. I always have my mason jar of water handy while I’m practicing! I don’t want to scare anyone though! I clearly felt challenged, but also accomplished and strong after the DVD’s conclusion. I enjoyed the pattern of poses – those emphasizing the core were scattered throughout, and a nice backbend sequence wound down the practice. It’s usually very difficult for me to fight the urge to just shut my yoga videos off as they enter the savasana portion, but in this case I felt pretty pooped and the rest period was most welcome! I wanted to just chill out in corpse pose before I had to get ready for work. Anchor Bay Fitness has two new Element DVDs coming out 9/25: Yoga for Energy & Relaxation and Accelerated Pilates with Resistance Band. The former features yoga expert Tamal Dodge and consists of a 30-minute energizing practice and 40-minute relaxation practice. I love that the DVD “categorizes” both series of poses so that if one does not have time to do both, or is just looking for an energy boost or a relaxing stretch, the viewer can easily choose which portion of the workout to complete. I hope to get the chance to try out the latter DVD, Accelerated Pilates with Resistance Band, for endless reasons! Firstly it’s just a 30-minute total body workout and 10-minute ab routine, which fit perfectly with my yoga/pilates attention span. 😀 Ssecondly, I was a HUGE fan of the resistance band’s uses in Physique 57 and would love to see how trainer Lisa Hubbard incorporates the (PINK!) band into this practice. 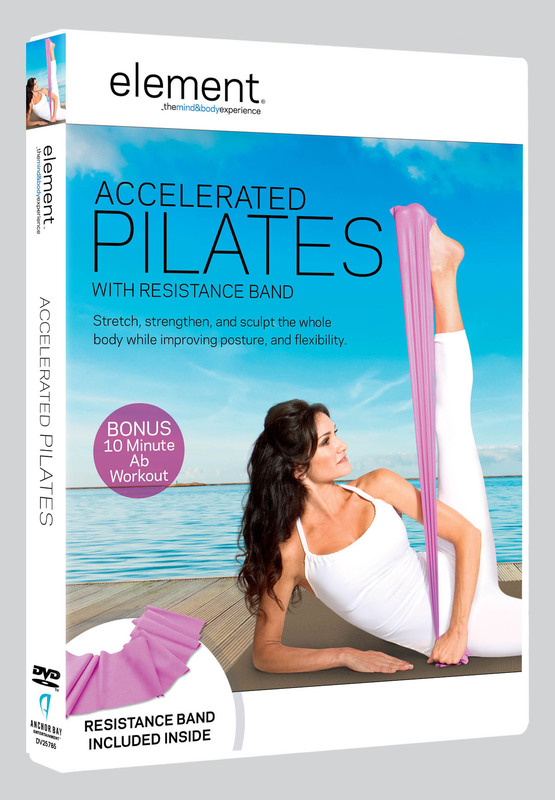 The fact that the DVD calls this pilates “accelerated” also jumps out at me because though I don’t do pilates often now, I did it a few times a week during my senior year of college after I had just entered recovery and was in great need of a form of workout far less intense than what I’d been doing. For that reason, I have always felt a special bond with pilates because of the way it kept me “sane” when I was forbidden from higher-intensity workouts. Any chance to try out a new routine is welcome to me because every instructor does pilates so differently! You can purchase all Anchor Bay Fitness DVDs in stores or on Amazon.com! I’m partnering with Anchor Bay Fitness to give TWO lucky Cait Plus Ate readers the chance to try BOTH of these DVDs! Two readers will each win a copy of both new Element DVDs, Accelerated Pilates with Resistance Band and Yoga for Energy & Relaxation! The giveaway is open to US readers only. Entries will close Saturday 9/8 at 11:59PM EST! Comment on this post (mandatory) and tell me which of the four DVDs mentioned in this post you’d most want to try! Tweet “I’m entered to win two @AnchorBayEntFit #yoga #pilates DVDs from @CaitPlusAte! #fitfluential http://wp.me/p1SfTW-1rd” and comment here with the link to the tweet. Though it’s not an option for giveaway entry, you can also like Anchor Bay Entertainment’s Fitness page on Facebook! Good luck to all who enter! I received free copies of the Element Power Yoga and Yoga for Weight Loss DVDs to review. All opinions are my own. I was not compensated for this review/giveaway.